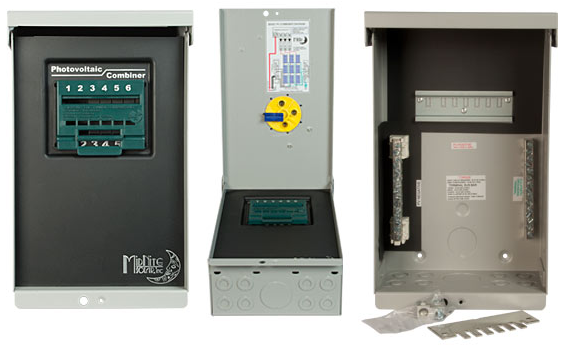 Click the button below to add the MNPV6-DISCO Solar Combiner Box to your wish list. 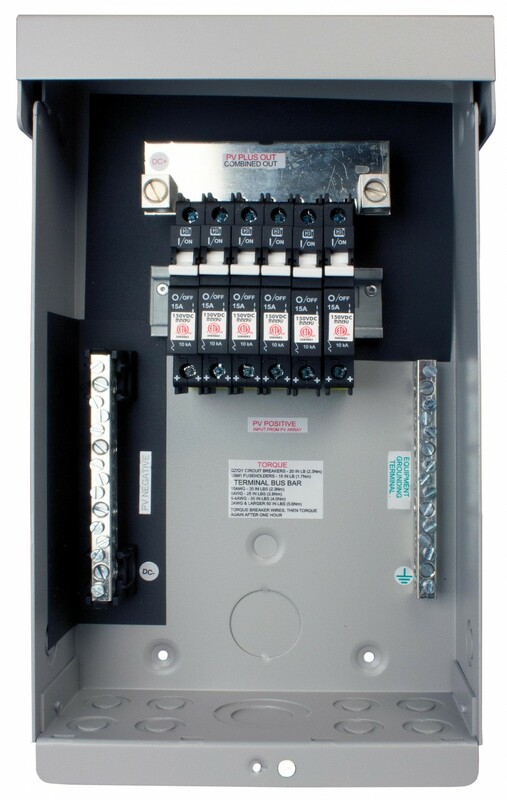 The MNPV6 Disco combiner is rated for outdoor use. Designed for combining PV strings up to 150VDC, 120 amps total output. A requirement included in the 2015 Canadian Electric Code is that PV array's can be shutdown and depowered on site by firefighters. The solar PV array must be made safe to work around under all conditions. This includes shutting off power that normally runs from the PV modules on the roof down to the inverter.